Taipei City. Five days are in the books at the II 12U Baseball World Cup. Two are left on the schedule in the first round, following the rest day on Tuesday. 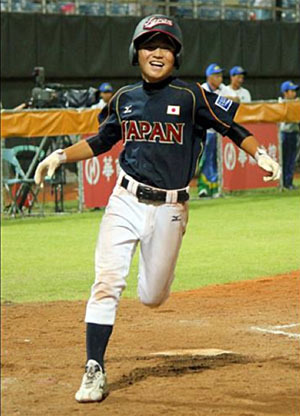 Japan remains undefeated, improving to 5-0 after a win over Brazil. However they needed once again extra innings to keep a tough opponent at bay. Earlier on Monday Italy came back from a 0-3 deficit against the Czech Republic thanks to Andrea Pasotto’s big hits. In the other four matchups the favorites prevailed as predicted. Mexico rode three home runs to a win over the Philippines. The United States scored early and often to overpower Hong Kong. Panama got its second victory of the evening in a lopsided victory over Pakistan. Korea played almost flawlessly in a shutout against Russia. On Tuesday all 14 teams in the 12U Baseball World Cup will be off, resting and going sightseeing in Taipei City. When play resumes on Wednesday, Brazil will face Italy in the morning at Tien-Mou in a key matchup in the race for the quarterfinals in Group A. Panama takes on Hong Kong and the United States square off with Russia. In the afternoon the Czech Republic will conclude their first round schedule against Mexico. Pakistan does the same against Venezuela. In the evening Chinese Taipei is playing against the Philippines.